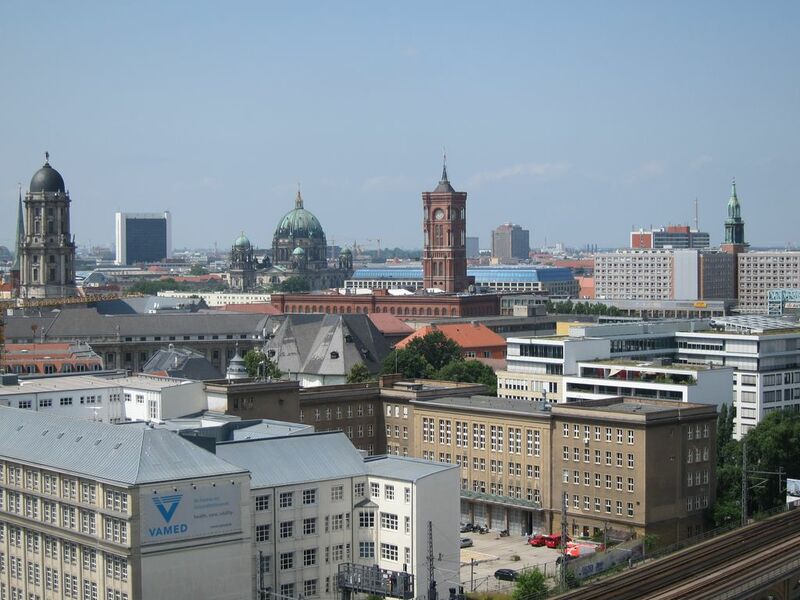 An ideal starting point for tourists in Berlin! 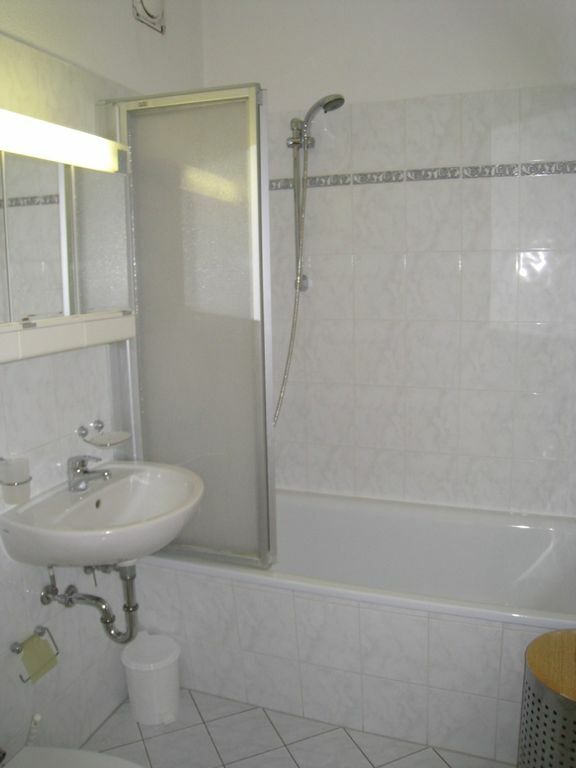 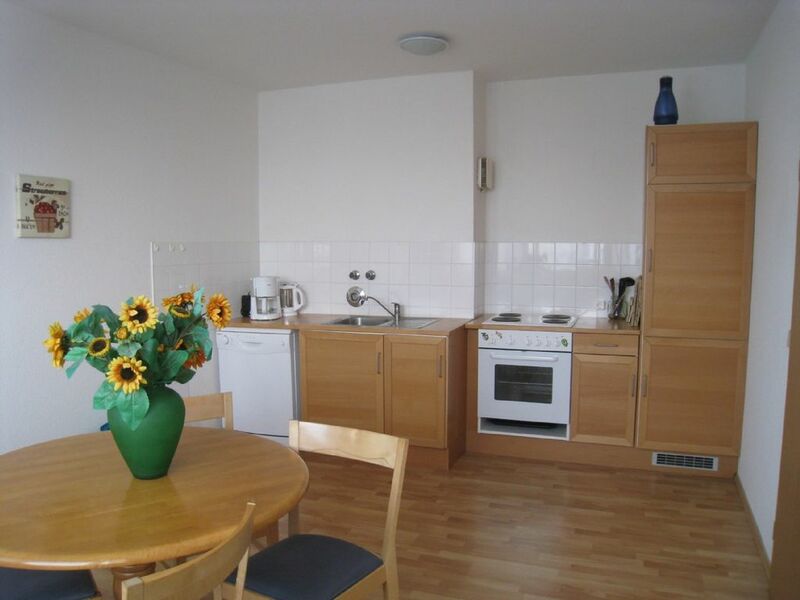 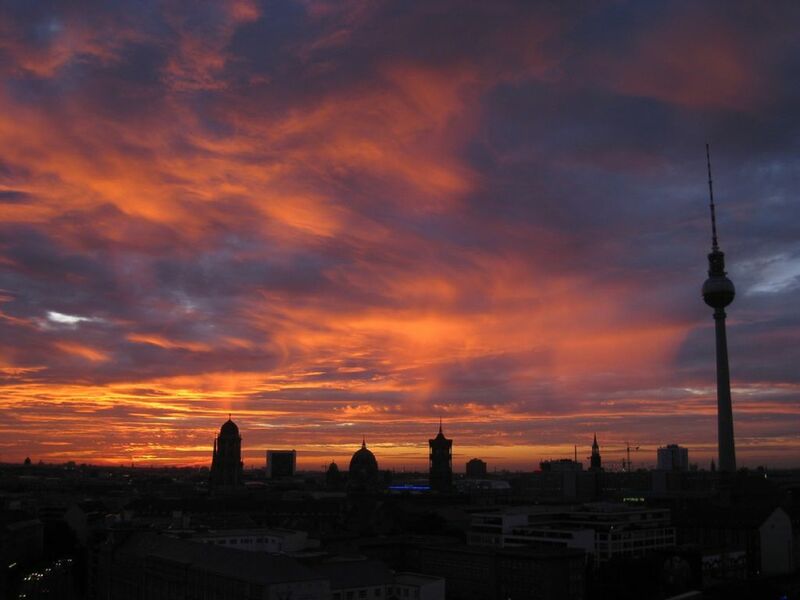 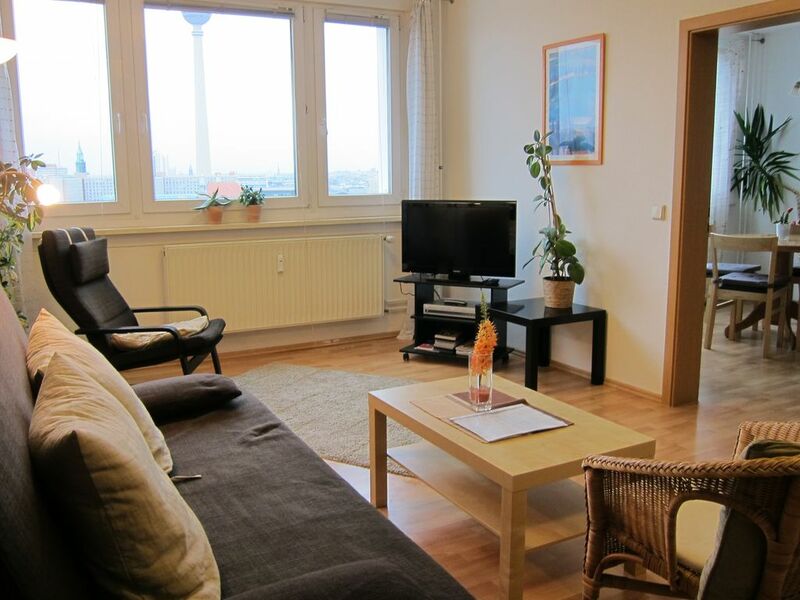 You can rent a complete 3-room-appartment in the 17th floor with terrific view over Berlin. 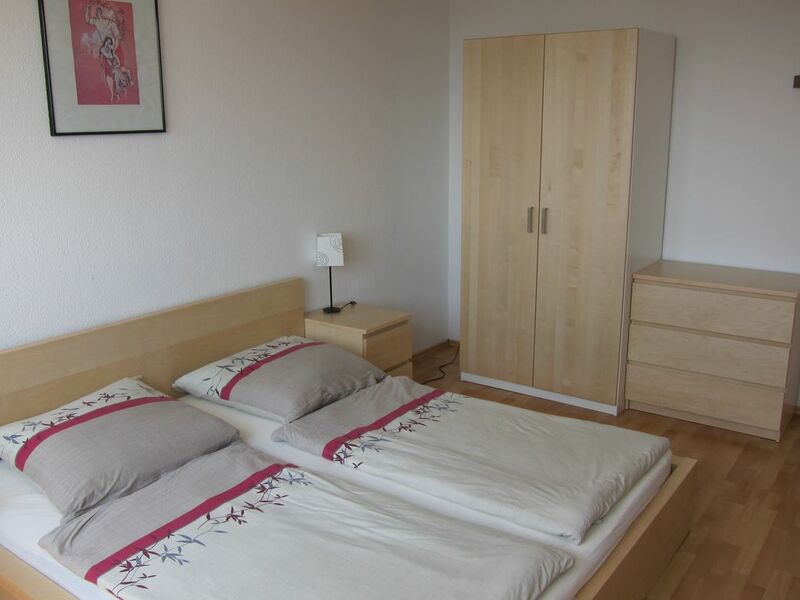 The appartment is suited for 4+2 persons: two bedrooms with double bed; open kitchen with eating table for four persons; living room with studio couch for 2 persons, TV and stereo equipment. 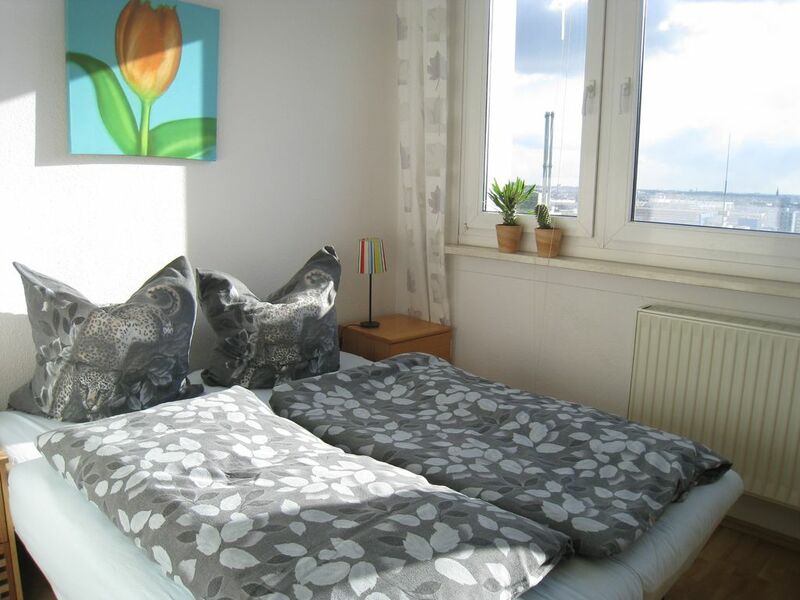 The location at the corner Holzmarktstrasse/Alexanderstrasse has very easy access to public transport: next to the house is the subway and the S-Bahn station Jannowitzbrücke, bus and boat transport is near the house. 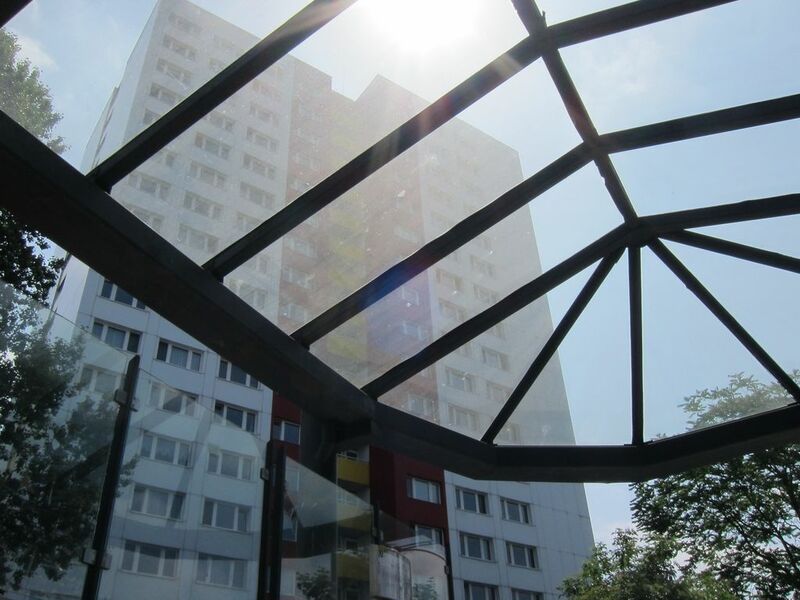 Shopping opportunities are also very close. 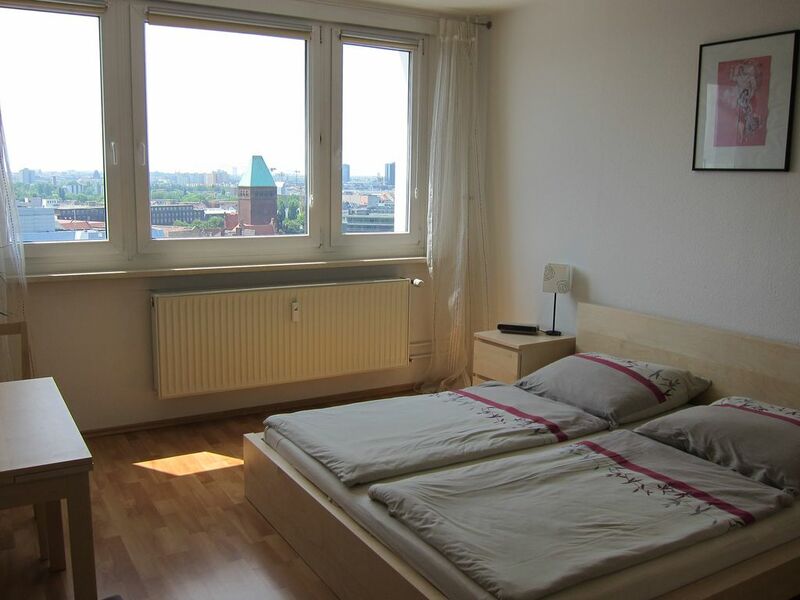 The Alexanderplatz is within 5 minutes walking distance, shopping centers (e.g. 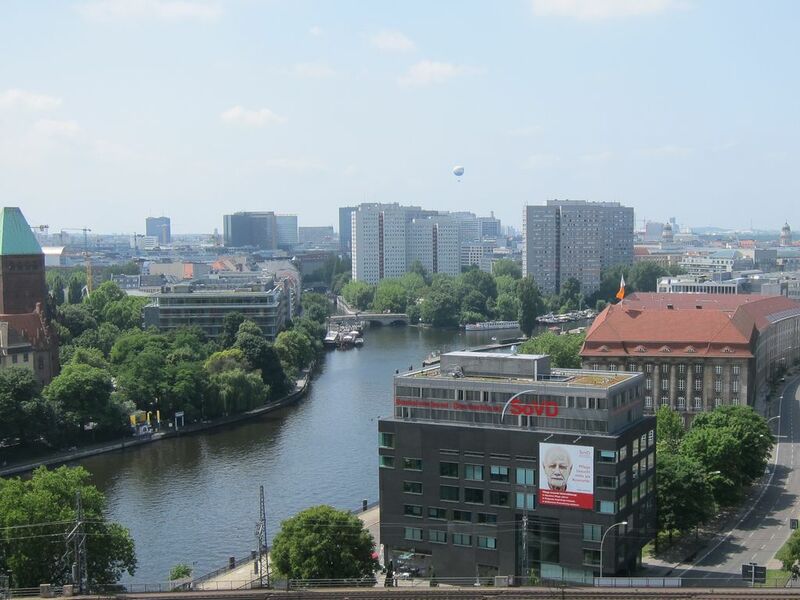 Alexa, Kaufhof), restaurants, cinema, the Island of Museums and the town hall are close-by. 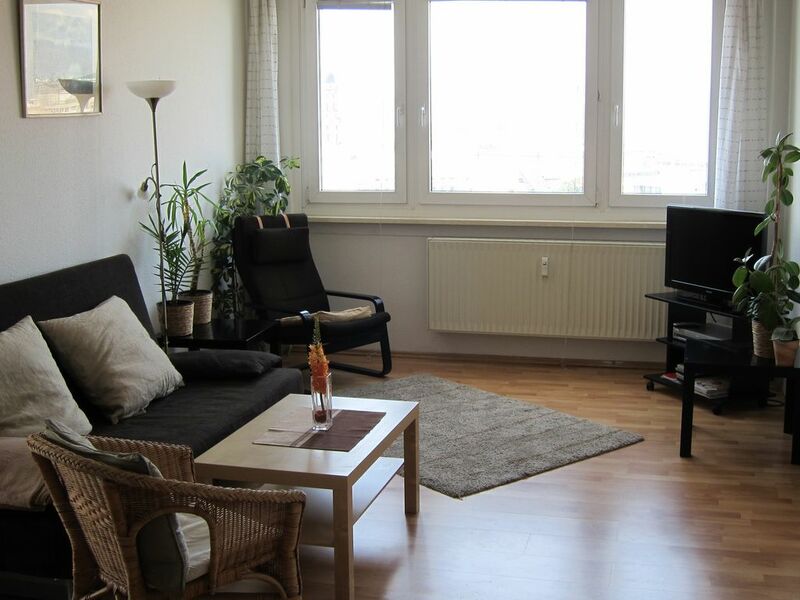 From the nearby located regional train station Alexanderplatz Potsdam can be reached within 30 minutes. 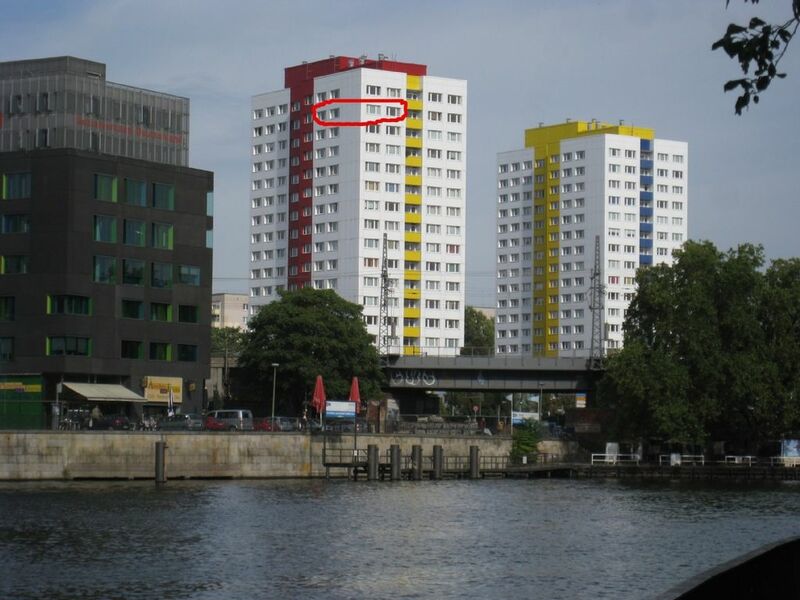 A free parking space for automobile is included.